Last thing that any company would want is to get under the radar of the Internal Revenue Service but according to a report filed by Gradient Analytics, some companies are indulged into desperate and somewhat alarming efforts to cut their taxes. According to a research carried out by Nicholas Yee, six companies including Celgene Corporation (NASDAQ:CELG), Lam Research Corporation (NASDAQ:LRCX), Altera Corporation (NASDAQ:ALTR), and VMware, Inc. (NYSE:VMW) and two others are trying to shift their pretax profits into other lower-tax areas. On the contrary, some of these companies are on the verge of losing their tax benefits or being reviewed by the IRS. 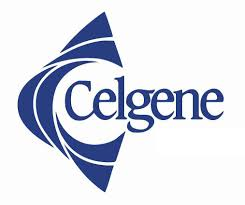 Celgene Corporation (NASDAQ:CELG), known for its cancer treatments, has a tax rate of 13.1% for the last five years against the industry average of 26.3%. The reason behind its low tax rate is the fact that Celgene Corporation (NASDAQ:CELG) has allocated as much as 97.8% of the pre-tax profit to other countries. It might be a safe harbor for Celgene Corporation (NASDAQ:CELG) as of now; however, its tax returns for 2009, 2010, and 2011 are under the scanner with ongoing investigation. Failure in coming through clean might lower the earnings for the quarter. Lam Research Corporation (NASDAQ:LRCX) is paying taxes with effective tax rate of 17.5% unlike the industry average of 21.6%. Although Lam Research Corporation (NASDAQ:LRCX) gets 85% of its revenue from overseas but it has 70% of its equipments, plants, and infra in the US along with the fact that Lam Research Corporation (NASDAQ:LRCX) reported pretax losses for the last two years in US despite of having a companywide profit. It is quite likely that company’s tax returns from 2010 through 2013 might get under the scanner. Similarly Altera Corporation (NASDAQ:ALTR) has paid an effective tax rate of 6.5% in 2013 against the industry average of 20.2% raising suspicion because Altera Corporation (NASDAQ:ALTR) has two-third of its infra in the US with 17.2% of its revenue coming from the US only. IRS is investigating its previous year returns and transfer strategies. VMware, Inc. (NYSE:VMW) has paid 11.6% average taxes since 2007 with 18.5% tax rate in 2013 which is lower than the three years average of 29.8%. VMware, Inc. (NYSE:VMW) is able to enjoy lower taxes because of its earnings from Ireland subsidiaries; however, it has 92.7% of the infra in the US and if the company needs to bring money home, it will have to pay 35% tax rate. IRS is auditing its tax returns for 2009 and 2010.